Numerous outstanding details make this helmet one of the best worldwide. Not only the integrated lamp but also the unmatched GFK-fabrics provide highest stability and resistance to impact even at extreme temperatures. Wearer of glasses appreciate the large face piece. 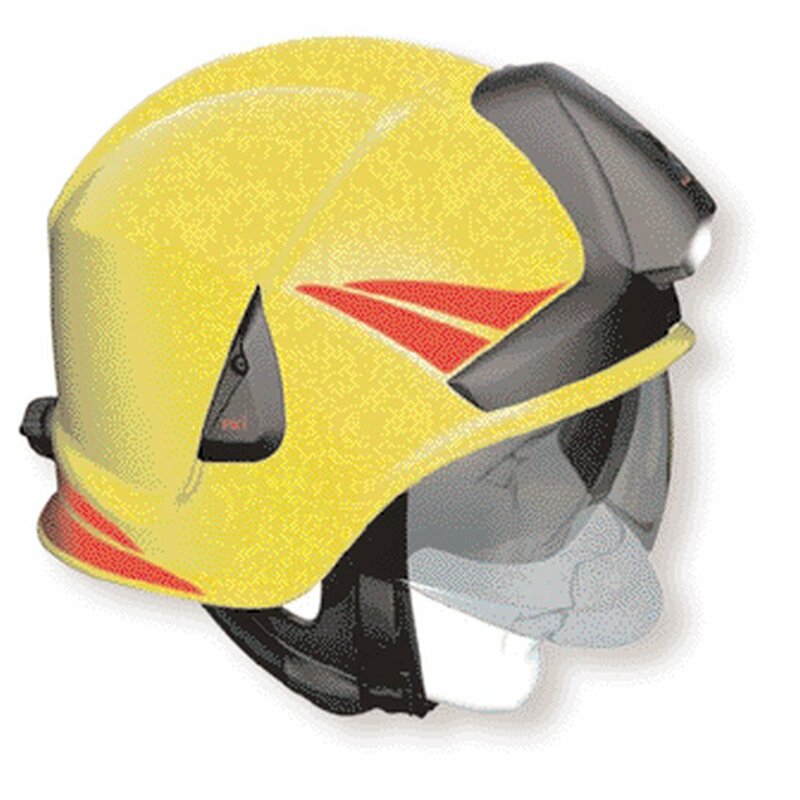 The neck protection is made of heat and flame resistant material. Size adjusting can be done from outside and even with fire-fighting gloves.